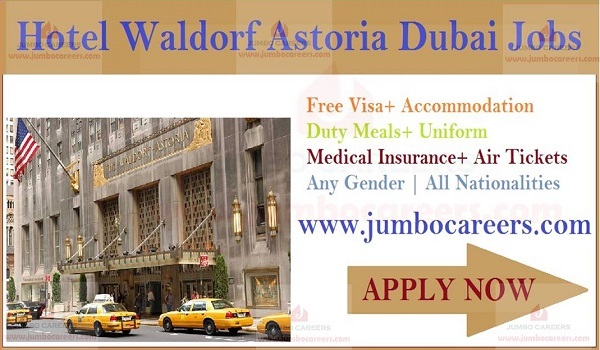 5 star luxury hotel in Dubai International Finance centre Waldorf Astoria Dubai DIFC is hiring staff. Candidates with 1 year luxury hotel experience is preferred. Its a free and direct recruitment by the company.